If you have ever been to the post office to mail a package, you may remember the person behind the counter asking if your package contained anything that was flammable, toxic, hazardous, or otherwise potentially dangerous. You probably said, “No,” without giving it much thought, and perhaps without even listening to the laundry list of prohibited items. You probably also did not realize that misrepresenting the contents of your package would have been a federal offense, punishable under 39 U.S.C. § 3001. Most investigations under 39 U.S.C. § 3001 involve the USPS and its law enforcement and security arm, the U.S. Postal Inspection Service. However, other agencies, including the U.S. Department of Justice (DOJ) may also be involved in mailing and shipping-related investigations. Penalties can be either civil or criminal in nature, and individuals and organizations targeted under 39 U.S.C. § 3001 will often face charges under the federal mail fraud statute, 18 U.S.C. § 1341, and other federal criminal statutes as well. As a result, if you have received a letter from the U.S. Postal Inspection Service, its Criminal Investigations Service Center, or any other federal law enforcement authority, it is imperative that you seek experienced defense counsel immediately. Government Look-Alike Mail – Under Section (h) of 39 U.S.C. § 3001 (portion of the Deceptive Mailings Prevention Act of 1990), it is unlawful to send any solicitation, “which reasonably could be interpreted or construed as implying any Federal Government connection, approval, or endorsement through the use of a seal, insignia, reference to the Postmaster General, citation to a Federal statute, name of a Federal agency, department, commission, or program, trade or brand name, or any other term or symbol.” The only exceptions are for mailings that actually have an official government endorsement, that contain an appropriate disclaimer, or that are sent at the request of the addressee. Illegal Sweepstakes Information – Under Section (k) of 39 U.S.C. § 3001 (portion of the Deceptive Mail Prevention and Enforcement Act of 2000), it is unlawful to use the mail to send information related to an illegal sweepstakes, lottery, or contest. Sweepstakes, lotteries, and contests advertised through the mail are subject to strict rules, and any solicitations must include specific information and disclaimers while avoiding fraudulent claims or misleading statements. Fraudulent Mail Order Schemes – Fraudulent mail order schemes are prohibited under the Mail Order Consumer Protection Amendments of 1983. Sending advertisements, bills, and other materials designed to fraudulently solicit payment for falsely-advertised products or services can trigger steep penalties. Common allegations related to alleged fraudulent mail order schemes involve health care services, medications, fitness products, cosmetics, anti-aging products, sexual wellness products, and other schemes targeting personal appearance or wellbeing. FAQs: Why am I Being Investigated Under 39 U.S.C. § 3001? Q: Why did I receive a letter from the U.S. Postal Inspection Service? If you have received a letter from the U.S. Postal Inspection Service or its Criminal Investigations Service Center, you may be under investigation under 39 U.S.C. § 3001. To determine the allegations against you, you will need to parse key information from the letter, and it may be necessary to contact the U.S. Postal Inspection Service directly. Both of these are tasks that should be handled by your defense counsel, as mistakes during a government investigation can have drastic consequences – including the potential for facing charges that could have otherwise been avoided. Complaints from consumers, patients, or other mail recipients. Q: What should I do if I am being investigated under 39 U.S.C. § 3001? If you are facing a federal investigation under 39 U.S.C. § 3001, including provisions of the Deceptive Mail Prevention and Enforcement Act, the Deceptive Mailings Prevention Act of 1990, the Drug and Household Substance Mailing Act of 1990, or the Mail Order Consumer Protection Amendments of 1983, the most important thing you can do is to seek experienced legal representation immediately. You need to take proactive measures to defend yourself, and you need to avoid costly mistakes that could jeopardize your defense. An experienced federal defense attorney will be able to communicate with U.S. 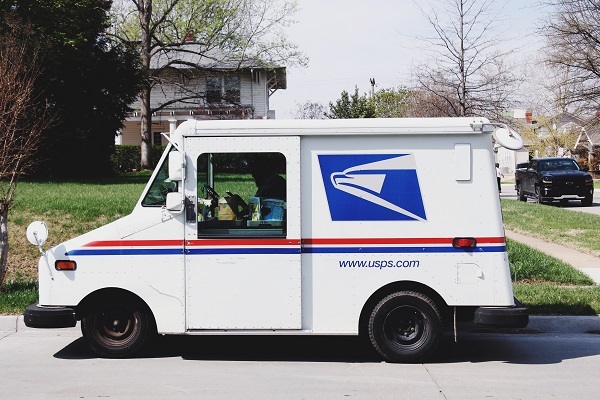 Postal Inspection Service agents on your behalf and gather the information needed to protect you against dangerous federal charges. Q: What are some potential defenses to allegations under 39 U.S.C. § 3001? Innocence – You did not actually send “nonmailable matter” in violation of 39 U.S.C. § 3001. Lack of Evidence – Federal authorities do not have the evidence they need to meet their burden of proof in a civil or criminal case. Constitutional Protections – Evidence against you was obtained in violation of your constitutional rights and is therefore inadmissible in any case against you. Q: Who is most likely to be targeted in an investigation under 39 U.S.C. § 3001? While some investigations under 39 U.S.C. § 3001 target scam artists who intentionally use fraudulent mailings to solicit money from unsuspecting consumers, many investigations under the statute target legitimate businesses. For example, a product-based business might be targeted for offering a giveaway that fails to comply with the Deceptive Mail Prevention and Enforcement Act of 2000, or a healthcare provider or other service provider might be targeted for sending mailings that violate technical provisions of the statute. At Oberheiden, P.C., we represent all types of businesses facing investigations under 39 U.S.C. § 3001; and, with a federal practice that is nationwide in scope, we are able to represent clients across the country. Facing a federal investigation under 39 U.S.C. § 3001 is an extremely serious matter that has the potential to lead to civil or criminal charges carrying substantial penalties. So, why do business owners, executives, and other clients nationwide trust Oberheiden, P.C.? Senior Defense Team – Our firm is comprised entirely of senior attorneys who have extensive experience in federal matters, including investigations under 39 U.S.C. § 3001. Federal Focus – Unlike other firms, we focus our practice on federal defense. We have handled cases involving virtually all federal law enforcement agencies, and we have significant experience in cases involving allegations of mail fraud and other related offenses. Proven Results – In the vast majority of cases, we have protected our clients against civil or criminal penalties, and we have a significant track record of terminating federal investigations before charges get filed. Client-First Representation – As our client, we make ourselves available to you 24/7. Securing a favorable result in your case is our top priority. Commitment to Success – We approach every case with the same unwavering commitment to success. If you are not satisfied, neither are we. To speak with a member of our federal defense team about your 39 U.S.C. § 3001 investigation in confidence, please call 888-519-4897 or contact us online. Your initial case assessment is free, and we can take action to defend you immediately if necessary.